William Morrow Paperbacks, 9780062024428, 272pp. Sara Benincasa is a comedian and author of Real Artists Have Day Jobs (William Morrow 2016) as well as the books DC Trip (Adaptive Books 2015), Great (2014), and Agorafabulous! : Dispatches From My Bedroom (William Morrow 2012), a book based on her critically acclaimed solo show about panic attacks and agoraphobia. She is currently adapting DC Trip as a film with producers Albert Berger and Ron Yerxa (Little Miss Sunshine, Nebraska, Election), Van Toffler, and Adaptive Studios. 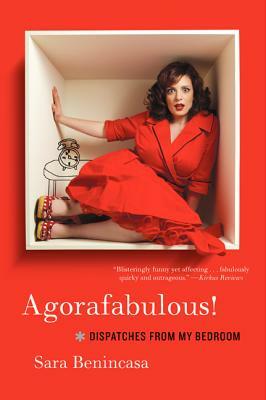 She is currently adapting Agorafabulous! as a TV pilot with executive producers Diablo Cody (Juno, The United States of Tara), and Ben Stiller’s Red Hour. She was born and raised in New Jersey and graduated from Warren Wilson College and Columbia University Teachers College. She lives in Los Angeles, California.